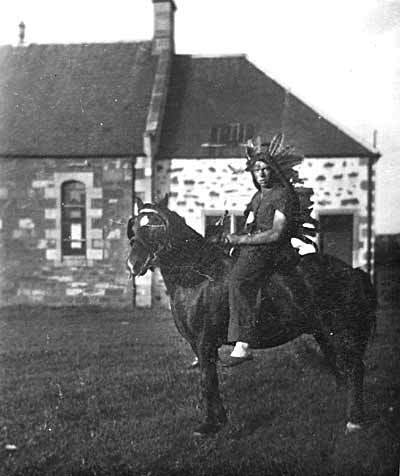 This is an unusual picture of Donald McBean sitting on a pony and dressed as a red indian during a fancy dress parade in front of Victoria Hall. We estimate the date as 1939. The right-hand section of the hall has since been knocked down and replaced with a flat-roofed block of changing rooms.